others to use, as long as this document is included along with the dingbat and not modified in any way, authorship is credited and add a link back to Cyberbuny Creations. Do not include this dingbat (font) in any other collections without written consent from Cyberbuny Creations. This dingbat (font) is not to be resold or remarketed. This dingbat is only to be used for personal use. 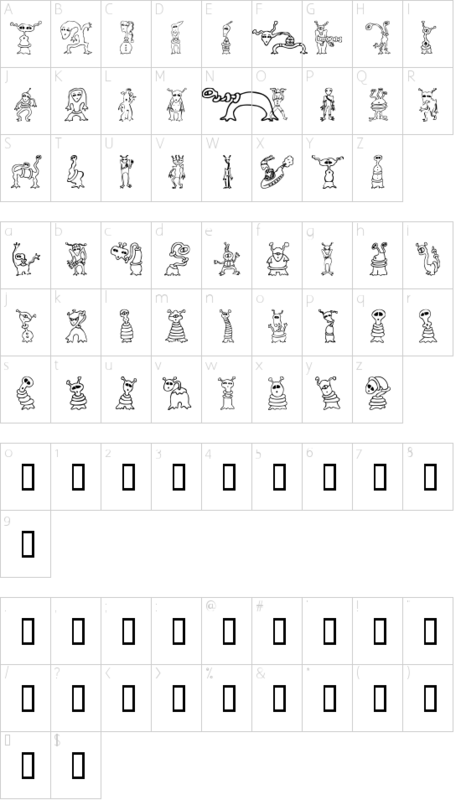 If you would like to use this dingbat commercially contact Cyberbuny Creations for more information on terms. All my shareware dingbats consists of 52-92 glyphs and make great web page graphics and more!!! Once the shareware fee is paid free feel to use it commercially as long as you are not redistributing the dingbat for sale in any shape or form.